MediaMoledule has announced that an Early Access version of Dreams will be releasing in April. The Early Access version will allow gamers to start creating their own games or stories, but won’t include all the features of the final game. Gamers will get access to the full set of tools for creating content, as well as interactive tutorials, arcade games and templates. It won’t, however, come with the game’s story mode or the VR mode. 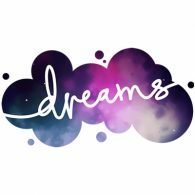 Dreams Early Access will be out on 16th April 2019, and will cost £24.99 / €29.99 / $29.99 / CAD$39.99. It will be available in the US, Canada and all European territories. Purchasing the Early Access version will mean you get the full version of the game when it’s released, for no extra charge. Anything you create in the early access will be carried over to the full game too.